This week, the Fantastic Four finally return to the comic shop as Dan Slott takes on comics' first family. I thought this would be a good opportunity to trot out a series of posts I've been thinking of doing centered on selecting my top three runs on various titles. The FF is a bit of a cop out to do for the first one, because it seems to me the Top 3 are pretty obvious, but it also gives me the chance to talk a little bit about what I look for in a run. A top run should be one that's lasted a significant length of time. This would seem obvious, but it's an important inclusion to avoid situations like Alan Moore's "Whatever Happened to the Man of Tomorrow?" being named a top Superman run. Obviously, not every run needs to be in the hundreds of issues, but it should be at least a year's worth of issues (and preferably much longer than that). While sometimes a fill-in here or there is necessary, with those exceptions, a run should be defined by a continuous sequence of issues. We don't want to declare every Paul Levitz Legion of Super-Heroes issue a single run since there's at least three separate runs in there because they're separated by significant sequences of stories by other creators. It's up for debate as to whether continuous runs of multiple volumes of a book count (such as the multiple Legion of Super-Heroes restarts that the New 52 caused in a short period of time). I also think that title reprises after an extended period of cancellation should be considered as separate runs. For example, Neil Gaiman's The Sandman series and The Sandman: The Dream Hunters should be considered separate runs with Morpheus because they were published over a decade apart. This is not average quality, because I don't want a really powerful single story to overcompensate for an otherwise mediocre run. For a top run, the vast majority of the individual stories should be of stellar quality. Otherwise, it's just rewarding someone for peaking briefly. A top notch run should include at least one, and preferably multiple, big stories: those single issue or multi-issue stories that everyone speaks fondly of long afterward. I'm not sure if I'll do a Teen Titans Top 3 because I'm not sure there are three runs that are that noteworthy, but certainly the Marv Wolfman/George Perez run had a significant number of them, such as "Who is Donna Troy? ", "The Judas Contract", and "A Day in the Lives...". Every major superhero or team has its share of core villains, and a good run should use some of the usual toys along the way. That's not to say that every Batman writer or team needs to use every Batman villain, but it has been observed that every major Batman writer needs to do his or her Joker story. And this is not just about checking boxes but also about effectively using those rogues. Bonus points for rehabilitating a villain who'd fallen on hard times due to disrespect or disuse. While there are a few notable exceptions, top runs also add to the mythos. This may be through new characters (especially villains) or new circumstances. It can also be through an expansion or new understanding of older characters or situations. Overall, a creative team should leave a title with more toys to play with, not fewer. A good run should make good use of supporting cast. That may be through creating new characters, resurrecting lost or neglected characters, or continuing the title's current cast and using them well. With the criteria in place, let's take a look at the Top 3 Fantastic Four Runs of All Time! 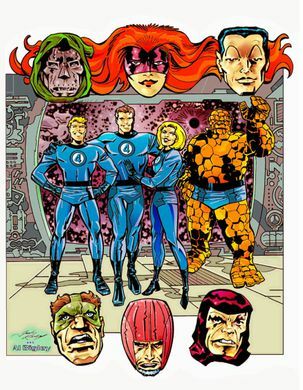 Just for clarity, Fantastic Four #589-599 don't actually exist, as the first 11 issues of FF counts double as Fantastic Four. Hickman worked with a number of artists throughout his time with the team. The strength of his run came from his high concept stories and the way that he wove multiple, seemingly unrelated threads, into an epic. His invention of the Council of Reeds was fun, but probably not a long term thing. The Future Foundation, however, was an inspired choice, and it's something I really wouldn't mind Dan Slott bringing back. Hickman was perhaps the writer who used Franklin and Valeria the most effectively (though hat tip to Mark Millar for making Valeria a genius in the first place). Hickman's stories had a wonderful balance of science fiction, superheroic action, and heartfelt moments. The death of Johnny Storm could have been handled as a clumsy event (and Marvel's PR department seemed hellbent on making it so), but within the title, it was a meaningful, heart wrenching loss, followed by a glorious (inevitable) return. And what he did with the kids was magical. Hickman is famous for his "wheels within wheels" storytelling technique, and it's on display here. What seems at first to be completely independent threads is eventually revealed to be a woven tapestry. Each member of the team gets their time in the spotlight (with arguably The Thing, who typically owns the spotlight, getting the least amount of story focus). Sue and Johnny both have big star turns, while Reed faces a superhero-level version of the challenge that plagues many people: the balancing of professional/personal ambition against the requirements of being a good spouse and parent. When faced with the Council of Reeds, our Reed may have been looking at the directions that other writers have (and probably still will) pushed the character, but Hickman repudiates that take on the character. Hickman's run really elevated the team, celebrating their competence, their relationships, and their family. Subsequent takes on the characters, though interesting in their own right, paled a bit by returning the team to the melodrama that the FF can so easily fall into. 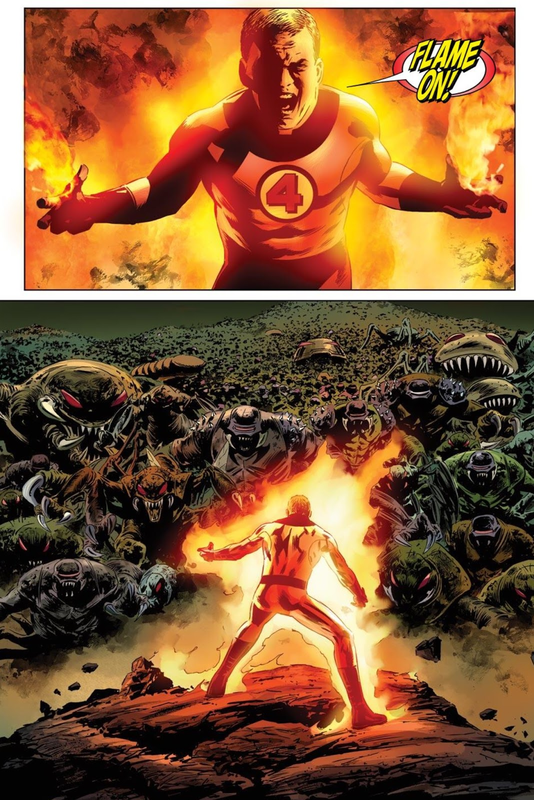 His use of classic Fantastic Four villains like Doctor Doom, Galactus, the Mole Man, and Namor, continues to evolve those characters, which is what one looks for from a classic run. The overall effect is the feeling of reading an epic. Rereading John Byrne's run, it's shocking to realize that he didn't inject many new characters to the mythos (Terminus was perhaps his biggest villain creation). What Byrne did was use the deep bench of villains and supporting characters populating the team's universe often and well, evolving many of the characters he touched. Frankie Raye reappears and eventually becomes a herald of Galactus, with her aversion to fire finally being explained. The Inhumans are brought back into the spotlight and moved to the moon. And we finally meet Aunt Petunia. Byrne even ties back into the first Skrulls the FF ever met and connects Kang to Reed Richards in a surprising way. That modernizing and refreshing of the team's world was the ongoing theme of Byrne's storied run. 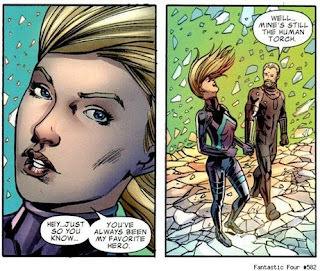 Byrne's run saw Susan Richards finally leave the Girl behind her and become the Invisible Woman, establishing herself as perhaps the team's most powerful member. He returned Doom to being one of Marvel's scariest villains. He rehabilitated Diablo, who had also become a bit of a lesser villain at the hands of others. He added She-Hulk to the team, allowing The Thing to go off on his own solo adventures, and made Wyatt Wingfoot a much more interesting character as a love interest than he was just as Johnny's best (non-super) friend. One of the great reveals in a run that liked great reveals. Byrne's run was one of steady competence, with very few lows. Surprisingly, looking back through his run, there aren't as many key stories as I remembered. I'd put his top stories as the defeat of Galactus, the trial of Reed Richards, the immigration of the Inhumans to the moon, the Liddleville saga from Fantastic Four #236, and the Skrull story from Annual #17. Each of them used existing pieces in novel or incredibly powerful ways. Byrne's mastery of the mythos built by Lee and Kirby (more on those names momentarily) really elevated and defined his run. Not that there weren't missteps. Breaking up Alicia from Ben and then setting her up with Johnny was a bit too soap opera-ish, and was one of the first retcons to be inflicted upon his run. Similarly, putting Sue through yet another difficult pregnancy and having it end in miscarriage was a bit over the top. But Byrne's run was so strong that what might appear as serious problems in another run just seem to be experiments that didn't hit as high in his hands. Lee and Kirby's run establishing the team was perhaps the single greatest explosion of creativity to ever grace the pages of comic books. 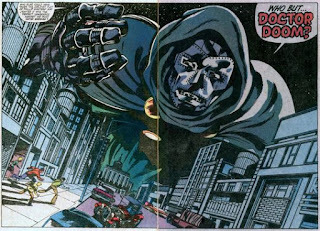 A single creative team, in a single title, gave the world Doctor Doom, Galactus, the Silver Surfer, the Inhumans, the Skrulls, the Kree, Puppet Master, Mole Man, Annihilus and the Negative Zone, the Frightful Four, Diablo, the Watcher, Alicia Masters, Willie Lumpkin, Wyatt Wingfoot, Agatha Harkness, the Impossible Man, and a little character named the Black Panther. And that's not even covering their entire run. 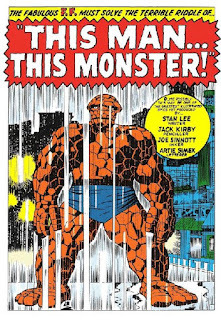 Lee and Kirby's FF were great creations to begin with, but best of all, they evolved as the title continued. The initial constant bickering softened over the years into a much more familial dynamic. 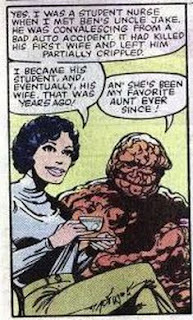 The character's powers and prowess were honed (though Sue's advancement arguably came a bit too slowly). What never seemed to leave the title, though, was the sense of wonder that a Fantastic Four story should evoke in the reader (and often in the characters themselves). Their run included far too many epics to name here, though every list should start and end with the introduction of Galactus. 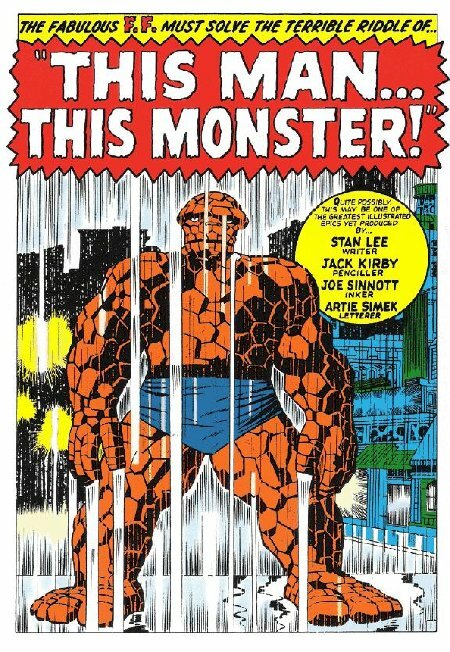 Lee and Kirby also produced some amazingly poignant quiet moments as well, and none are as lovingly remembered as "This Man, This Monster". The quality of their stories together was exceptionally high, even for an exceptional creative team. This combination of creators and creations worked like nuclear-powered magic. Lee and Kirby established a tone and style to the book that was unlike anything else in comics at the time. Their excellence was a difficult act to follow, and even Lee, teamed with John Buscema on art, failed to reach the same heights. Far too many good creators have tried to produce a Lee and Kirby FF and failed miserably (that John Byrne tried and succeeded is why his run is number two on this list). If not the greatest comic book run of all time (perhaps a topic I'll take up some day), this is surely in the top five. I'll return to do another Top 3 for another run sometime in the near future. If you disagree with my choices or the order of my selections, please comment. We appreciate the feedback and interaction.